Dr Yanni Malliaris is a licenced clinical psychologist in Athens, Greece specialising in the diagnosis and treatment of Bipolar Disorder (Manic-depressive illness) and recurrent depression. Yanni graduated from Stirling University and UCLA with a first class honours degree in Psychology in 1999. During his undergraduate years he developed an interest in the psychosocial factors of affective disorders by studying with Professor Constance Hammen, and trained in behaviour modification with Professor Ivar Lovaas. 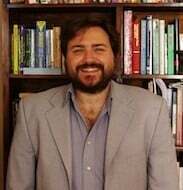 After completing his military service in the Hellenic Airforce (2002), he worked as a research psychologist at the Institute of psychiatry, King’s College London (2002-2010), where he also completed his Doctoral PhD thesis under the supervision of Professors Dinesh Bhugra and Tom Craig. At the Institute, he began his work with Professor Dominic Lam at the Affective Disorders Unit and later worked on a series of treatment studies until he received funding from the Medical Research Council to commence his PhD project. Yanni’s broad research interests are in the phenomenology (diagnostic and psychosocial) and assessment of Bipolar disorder, and particularly the factors that predict the course of the illness. In his thesis, he explored the impact of sub-syndromal symptoms in the course of Bipolar disorder, and particularly the role of symptom variability in predicting relapse. He is also interested in mental health informatics and conducts research on the role of new technologies for tracking the variable course of Bipolar disorder. Along with a group of friends and colleagues, Yanni has developed iMonitor, a novel electronic mobile diary for assisting patients and researchers/clinicians to track the daily course of Bipolar Disorder. In his clinical work he is working within a behavior modification framework primarily for Bipolar disorder and recurrent depression. As a behavior-therapist he appreciates the value of data-driven clinical practice and also the collaboration of a range of skilled mental health professionals for advancing his patients’ mental health. Yanni is a firm believer in the positive role of self-help organisations. In 2008, he founded EDO the Hellenic Bipolar Organisation, the first NGO for bipolar patients in Greece, in his father’s memory. In 2011, Yanni returned to Athens, Greece where he incorporated BipolarLab.com and continues his clinical and research work on a private basis.